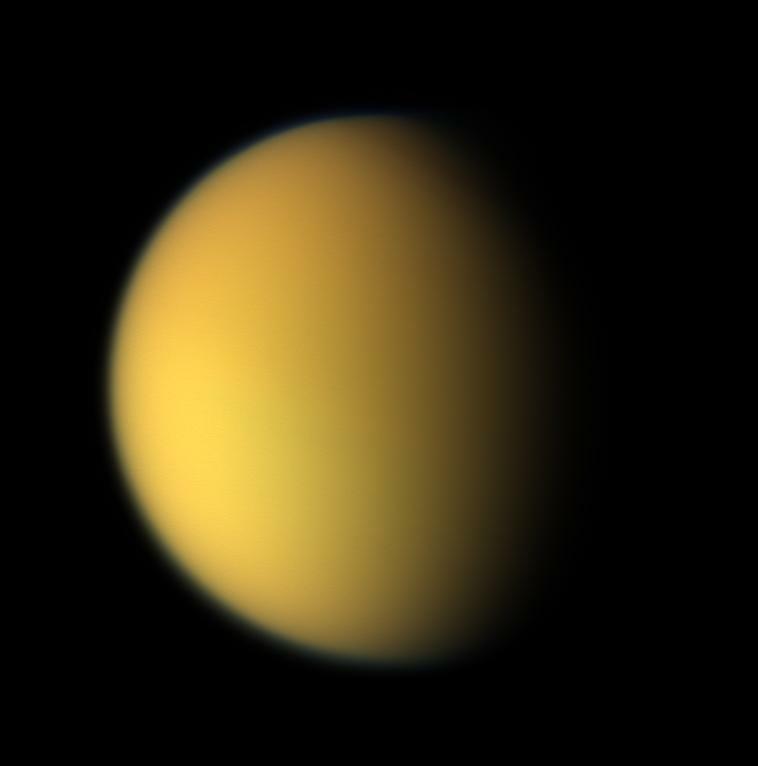 It shows approximately what Titan would look like to the human eye: a hazy orange globe surrounded by a tenuous, bluish haze. 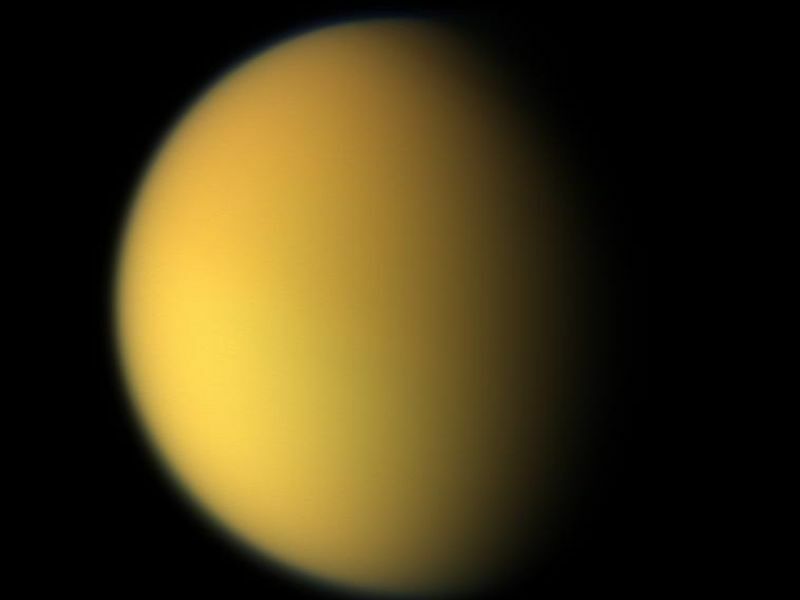 The orange color is due to the hydrocarbon particles which make up Titan's atmospheric haze. 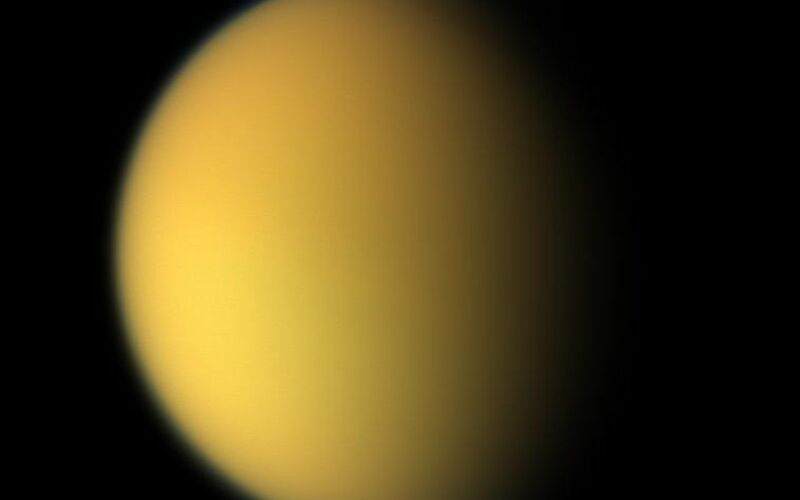 This obscuring haze was particularly frustrating for planetary scientists following the NASA Voyager mission encounters in 1980-81. 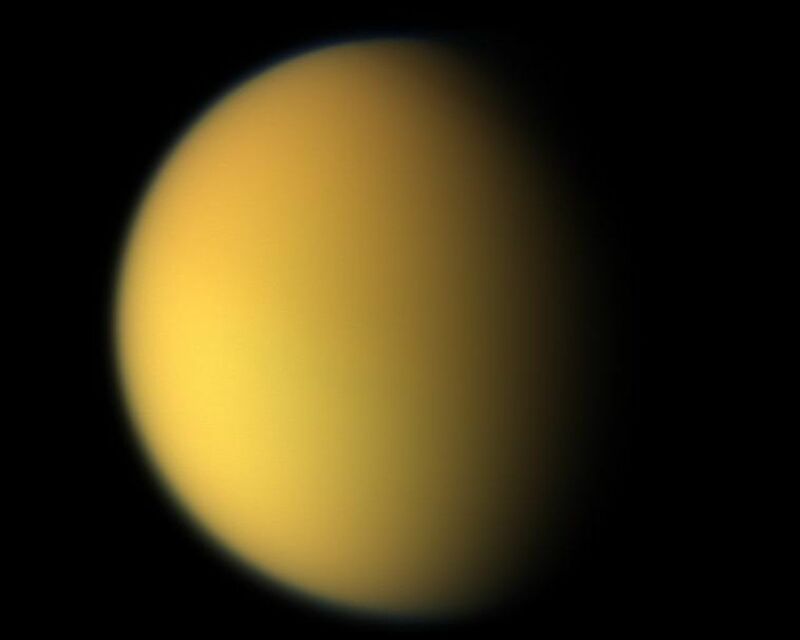 Fortunately, Cassini is able to pierce Titan's veil at infrared wavelengths (see PIA06228). The images to create this composite were taken with the Cassini spacecraft wide angle camera on April 16, 2005, at distances ranging from approximately 173,000 to 168,200 kilometers (107,500 to 104,500 miles) from Titan and from a Sun-Titan-spacecraft, or phase, angle of 56 degrees. Resolution in the images is approximately 10 kilometers per pixel.